These are the two questions I get more than any other as a Chicago theater addict. 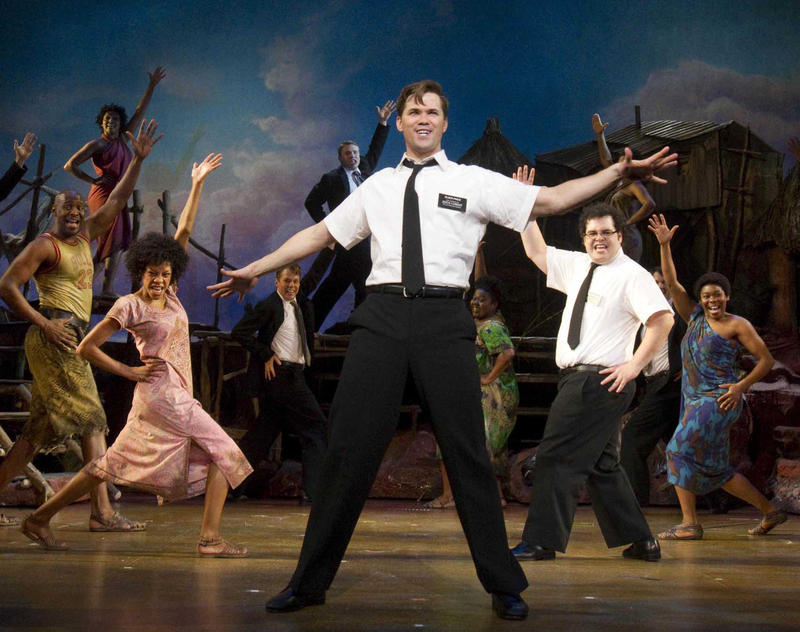 Yes, perhaps you’ve heard of the megahit Broadway musical, The Book of Mormon, and how it’s coming for an extended stay at Chicago’s Bank of America Theatre beginning December 11, 2012. Single tickets for The Book of Mormon in Chicago are on sale now only to American Express Cardmembers and will remain on sale through March 15, 2012. Tickets will go on sale to the general public on March 19, 2012 at 12:01 a.m. at the Bank of America Theatre (18 West Monroe) box office only until 7:00 a.m. Then starting at 7:01 a.m., tickets will be available at the box office and through Ticketmaster’s website, phone lines, and outlets. Starting at 10:00 a.m. the remaining Broadway In Chicago box offices will begin selling tickets: Oriental Theatre (24 West Randolph), Cadillac Palace Theatre (151 West Randolph) and the Broadway Playhouse at Water Tower Place (175 East Chestnut). Regular box office hours are 10:00am – 6:00pm. Tickets will continue to be available at all Broadway In Chicago Box Offices , the Broadway In Chicago Ticket Kiosk at Water Tower Place (845 N. Michigan Ave.), the Broadway In Chicago Ticket Line at (800) 775‐2000, all Ticketmaster retail locations (including Hot Tix and select Carson Pirie Scott, Coconuts, and f.y.e. stores), and online at www.BroadwayInChicago.com. Prices range from $45 – $115. A select number of premium seats are also available. Groups of 15 or more can call (312) 977‐1710 to purchase tickets. Got it? So act now before they’re grabbed up for good! And while you’re waiting to be proselytized by a bunch of guys in white shirts and black ties (rhyming! ), why not grab a pair of pom-poms and do the splits? A new musical version of the 2000 cheerleading movie “Bring it On” is coming to Chicago’s Cadillac Palace Theatre, starting March 6. Bring it On: The Musical is written by Tony Award-winning writer Jeff Whitty (Avenue Q); Tony Award-winning composer Lin-Manuel Miranda (In The Heights); Pulitzer Prize and Tony Award-winning composer Tom Kitt (Next to Normal) and lyricist Amanda Green (High Fidelity). Tickets and other info here. This entry was posted in Arts/Culture/Entertainment, Theater and tagged Bank of America Theatre, Bring it on the Musical, Broadway in Chicago, Cadillac Palace Theatre, chicago, The Book of Mormon, theatre. Bookmark the permalink.